Guitar Hero Live let´s you kick out the jams live! 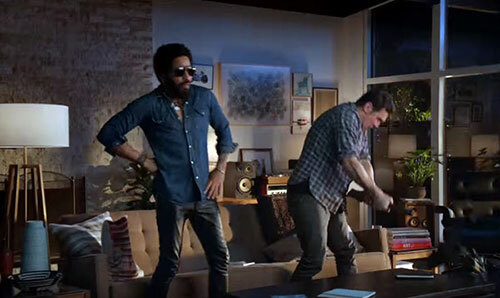 James Franco and Lenny Kravitz literally slaughtered Guitar Hero Live. Even though it´s been years since I played any Guitar Hero game (mostly due to the fact that other games have stolen my attention), I have to say that I got quite interested in FreeStyleGames and Activision´s”Guitar Hero Live” (for PS3, PS4, 360, Xbox One, Wii U and iOS). Mainly because I liked the thought of being able to kick out the jams live (and online), as it´s probably as close as I will ever get to play live in front of an audience (don´t judge me to hard, I´m just trying to keep my rock star dream alive). And I can´t say that I got less curious about the game when I saw the list over songs and artists in “Guitar Hero Live” either. And I´m talking about everything from The Rolling Stones, Soundgarden Slipknot Rage Against the Machine to Lenny Kravitz, and speaking of Lenny Kravitz. I don´t know about you, but I think that Kravitz and James Franco did a really good job in the TV-commercial for “Guitar Hero Live” (at least I found it to be funny and entertaining). So, is “Guitar Hero Live” any good then? Well, let´s take a look at the games grades shall we? Tre brings free music to the elderly in Sweden. Joy O plenty! 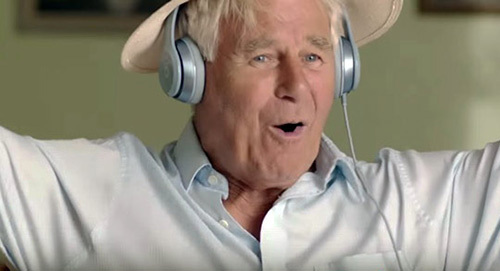 Music is a huge part of our lives, and music is even more important for the elderly. As music brings back memories and the lust for life. That´s great of course, sadly enough though. Many retirement homes are all quite in Sweden. However, that might change now that Tre has decided to offer their services to the elderly in Sweden. As Tre plans to send out 100 packages to retirement homes all over Sweden (each package contains everything needed to start streaming music for free straight out of the box. For example, Lenovo A10, Harman Kardon Onyxand the music service Deezer). So if you´re a director or manager for a retirement home, then you should most defiantly check out what Tre has to offer for you and your inhabitants. Personally, I think the elderly deserves to have music in their lives (most of them have worked all their lives, so cut them some slack). As it brings them so much joy and happiness. Not only that, it´s really healthy for them as well (mental as physically).